HMOs could never rock’n’roll like this. Look at the land… blue flowers! By this point I’d completely forgotten about the technological feat of audio streaming because my synapses were in overload. What was he on about? Who was responsible for this unhinged brilliance? Turns out Dr. Octagonecologyst was the brainchild of ex-Ultramagnetic MCs rapper Kool Keith and up-and-coming producer Dan The Automator, with supremely wicked scratching by DJ Q-Bert. Kool Keith had long been twisting surreal verses about animals and orifices under assumed names but this was the first time his alter-ego had consumed an entire project. The good doctor was on a mission to misdiagnose, over-medicate and violate all patients while traveling through time and space. Over a soundscape of boom-baps, blip-blips and skits that mimicked a 1950s hospital drama, Kool Keith uncoiled intricate rhymes of unbridled lunacy. They drop science of the nonsensical kind in “No Awareness” (Reinforce mixing copper nickel-beryllium oxide/Concentric layers, proportional carbon density of the radius/Indisturbed existence if it does produce contradictory statements) and meet mutations in the creepy “Halfsharkalligatorhalfman” (With my white eyes, gray hair, face is sky-blue yellow/ Sideburns react, my skin is colored lilac/ My skin turn orange and green in the limousine/People think I’m mixed with shark, drinking gasoline). Medical bills, insurance, cash in the ceiling. Who’s the brother that’s sick, and needs the operation? THE FALLOUT: … a label best known for country superstar Toby Keith and alternative rockers AFI and Papa Roach. Communication breakdown between the band members and the label came swift and hard, resulting in Kool Keith refusing to perform on a tour booked without his consent. 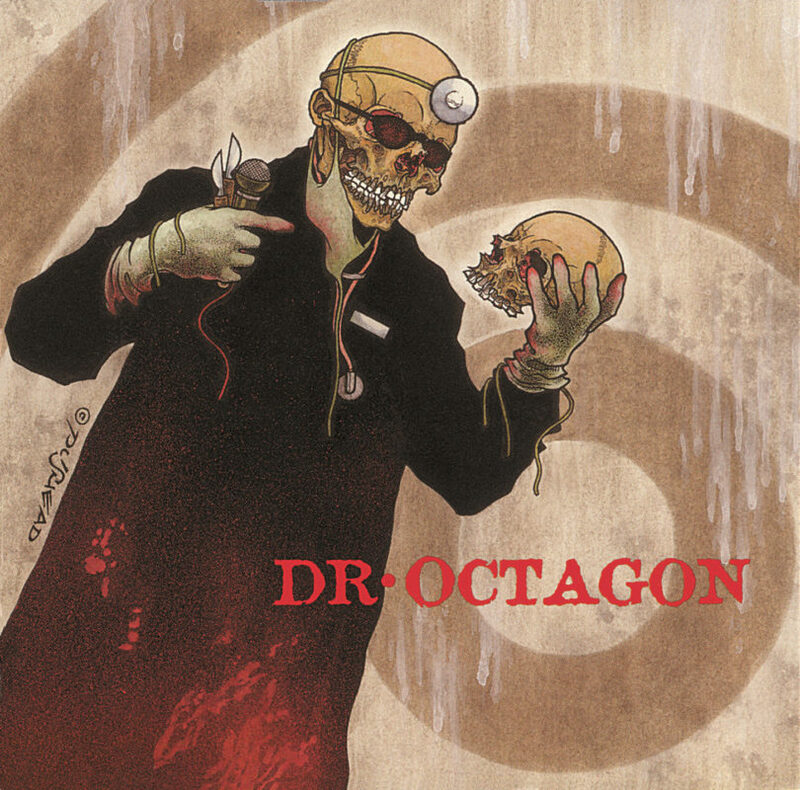 Dr. Octagon soon disbanded, and Kool Keith had the doctor whacked on his next album, Dr. Dooom’s First Come, First Served. Doing for doctors what Little Shop Of Horrors did for dentists, Dr. Octagonecologyst transforms repulsion into altered consciousness. NEXT WEEK: Behold the Casio-Tone shrine of Spookie.